UNIVERSITY PARK, Pa. — Vic Sparrow, director of the graduate program in acoustics, has been invited to deliver the Rayleigh Lecture during the American Society of Mechanical Engineers (ASME) International Mechanical Engineering Congress and Exposition (IMECE), Nov. 11-17 in Phoenix, Arizona. Rayleigh Lecture speakers are selected for their pioneering contributions in the fields of noise control and acoustics. “It is humbling to be honored by the ASME in this way, and to follow in the footsteps of others who have been so honored,” said Sparrow. 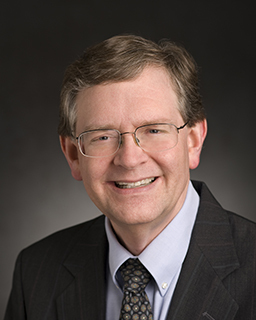 His talk, titled “Two approaches to reduce the noise impact of overland civilian supersonic flight,” will provide a basis for ASME members to understand sonic booms and the ongoing work to enable overland supersonic flight for civilian aircraft. Sparrow has been a Penn State faculty member since 1990. His research focuses on all aspects of outdoor sound propagation, aircraft noise, nonlinear acoustics, computational acoustics, structural acoustics, virtual acoustics and scientific visualization. Nominated by the Federal Aviation Administration and appointed by the International Civil Aviation Organization (ICAO), Sparrow has served in various roles for the ICAO Committee on Aviation Environmental Protection's Noise Working Group and Supersonic Task Group since 2005. He is a fellow of the Acoustical Society of America and an associate fellow of the American Institute of Aeronautics and Astronautics, and has been an ASME member since 1993. The IMECE is the largest interdisciplinary mechanical engineering conference in the world. The event aims to foster new collaborations that engage stakeholders and partners not only from academia, but also from national laboratories, industry, research settings and funding organizations. Sparrow noted that he is the third Penn State faculty member to deliver the Rayleigh Lecture.